Ginger is generally considered safe. For a tea I usually enjoy 1-2 tsp per cup of water and drink it as needed. Caution: if you have GERD (heartburn), the carminative aspect of ginger relaxes your lower esophageal sphincter tone and this may aggravate heartburn. 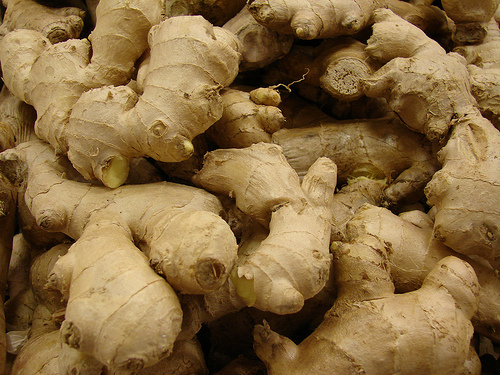 Ginger may also interact with anticoagulants and may interfere with certain medications that act to thin your blood. Always consult your physician before you start a new supplement. Click here to learn how to make your very own ginger berry tea! It’s delicious, comforting and has clinical relevance when you’re sick – and now you’ve learned why! Have you ever had ginger in your tea before? Maybe you’ve taken a tincture…Whatever the story is – I want to hear it! Post below in the comments, I’m eager to learn about your experiences.